We offer several service and maintenance plans to suite your needs, and we are able to troubleshoot and repair all major manufacturers. Is your elevator old? We modernize old elevator parts with the latest parts that could save you money in the long run. We install commercial and residential vertical platform lifts, residential stair lifts - indoor and outdoor, and residential elevators. 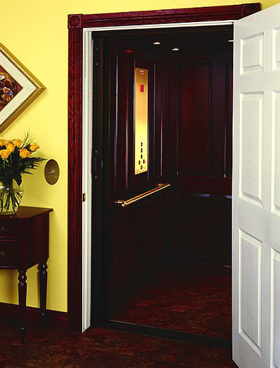 Our brand new Elevator Renovation Department can outfit your old elevator cab with a new look that your tenants will love without the cost of a whole new elevator.